I must confess... that when I was contacted and asked to write about a new booky initiative from Bookworld, I jumped at the chance. You know me and books! As many of you know I'm a huge fan of books and reading. I've said before that I think giving your children the gift of reading is the best thing you can do for them. Being able to read is an invaluable skill. And having a love of reading is something that will never let you down. So when I heard about the Bookworld Pop-up Shelves program I knew it was something I could get behind. So basically, they built a bookshelf at a bus stop, stocked it full of books, and let the general public have at it. I think it's an awesome idea, a great way to give something to the community, as well as a pretty savvy way to advertise your business. I love it! 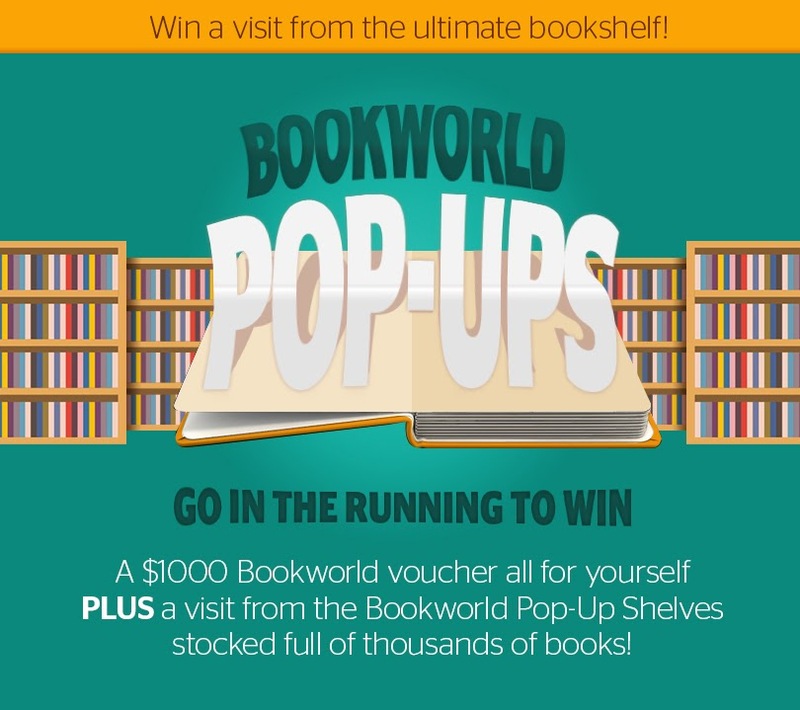 Bookworld are now on the hunt to find the perfect location for their next Pop Up Shelves and they want the people of Australia to help them. For simply nominating the school, community, sporting group, town or suburb you think most needs a reminder of the joys of reading, as well as some free-book cheer, you go in the draw to win a $1000 Bookworld voucher. Think of how many books you could buy with that! I reckon $1000 voucher would cover me for the entire year's worth of reading I plan to do. And then some! There's also a $50 voucher up for grabs for the best daily entry. How good is that! So, what are you waiting for?! To enter, you just need to hop on over to the Bookworld Pop Up page here, and fill in all the details. You can also encourage your friends and family to vote for your entry and increase your chances of winning the voucher and having the Pop Up Shelves visit your location. I know how many of you share my love of reading, and for the chance to win a $1000 voucher, that alone should be enough reason to enter. I've nominated a suburb close to me that I know could really do with some book cheer. We only have one "proper" bookshop in the Hawkesbury and I know there would be heaps of people who would appreciate some new, free reading material! So tell me, what's the first book you'd buy if you won the $1000 voucher? Disclaimer: I was approached and compensated to write about the Bookworld Pop Up Shelves program and agreed willingly as I believe that everyone should be able to share in the joy that is books and reading, whether they can afford the books or not.